Let's make a small addition and improvement to the store. Below the like button, can you display the number of users who liked the product? Guideline: You already declared that each product has_many likes, so can you use this relationship to display a number? .size returns the number of items. 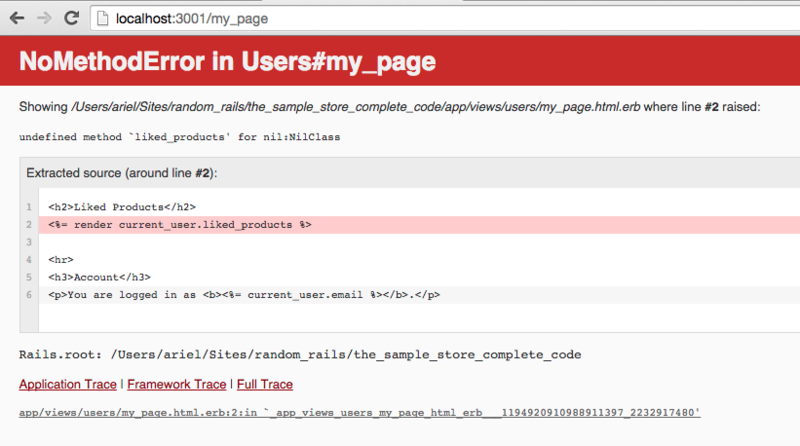 Rails provides a helpful error page so you can see what went wrong.